For many of us, our casual summer uniform consists of two items: a frock and shoes. The advent of Winter is inviting and all with those layers and boots, but at the expense of easy frockery? Hmmm, that’s a tough one. That’s why, as the leaves start to fall each Autumn, us frock loving girls can tend to feel a little, well, sad. Sad because the halcyon days of lazy dressing frock wearing over the warmer months are coming to an end. 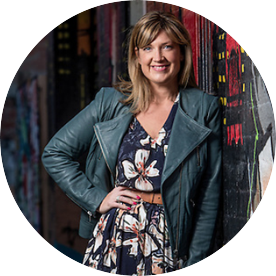 And while I still try to find frocks that will be warm enough to wear over Winter, the cold reality is that my daily uniform will likely consist of jeans, trainers or boots and layers. 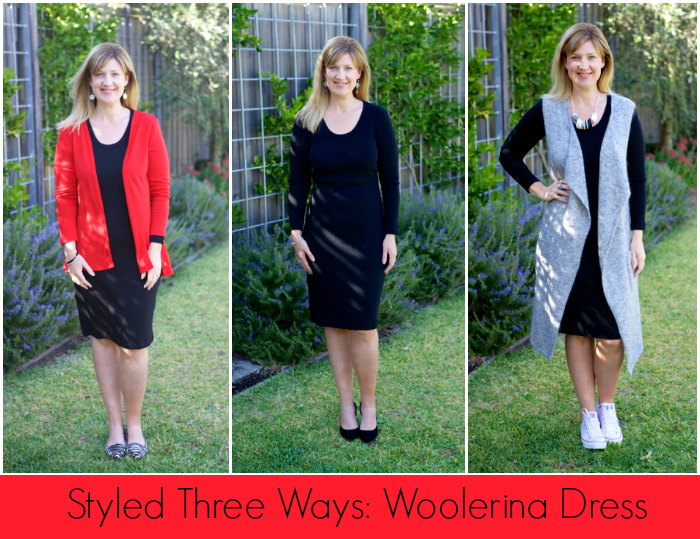 In breaking news, I have found the perfect frock to dress up and down, week days and weekends, all Winter long: the Woolerina dress,* made from 100% Australian merino wool, available in sizes 10 – 18. In today’s post, I’m styling it three ways: for a night out or dressy occasion; for work or a smart casual do with a great pair of flats; and finally, for every day casual. But firstly, let’s cover the basics. I love a knit dress, particularly a woollen one, but I know that others are put off by the potential itchy/scratchy factor. There’s nothing to be put off about here though. 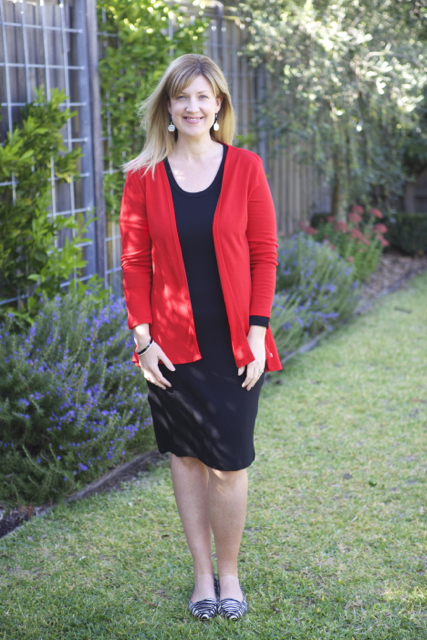 With it’s soft merino wool, this dress feels really lovely to wear with an itch factor of zero. In fact, I actually checked the tag to see whether it was a cotton jersey or silk blend (there isn’t), it is that soft. In terms of the cut, the flattering scoop neck shows some skin and is a flattering neckline for most. A scoop neckline can easily be covered with a scarf for coverage outdoors too if it’s chilly. The long sleeves make it a practical option for cold days or even cool trans-seasonal nights. Meanwhile the length, hitting just on or below the knee depending on your height, is perfect for work and for those of us who prefer a longer dress length and more coverage in Winter. In my book, it’s a wardrobe basic that can form the basis of many an outfit too. It easily joins the smart/work end of your wardrobe – it can be transformed simply with a pair of heels, a tailored jacket and a pair statement earrings. In fact, it’s effectively a winter version of the LBD. Come weekends or more casual days, it is also versatile enough to be dressed down with boots or trainers and a denim jacket. What it does not look like is a heavy woollen dress that your great Auntie Joyce knitted circa 1983 (sorry, just had a flashback there), but you still get the warmth and breathability that wool provides. Size wise, I’m wearing a size 14. I prefer a more body con or fitted style of dress to hug not squeeze my body and to provide a more flattering silhouette. You can size up or down to suit your shape and style in any event – this dress is available in size 10 through to 18. For those who generally shy away from a fitted, body con style of dress, don’t discount this one. 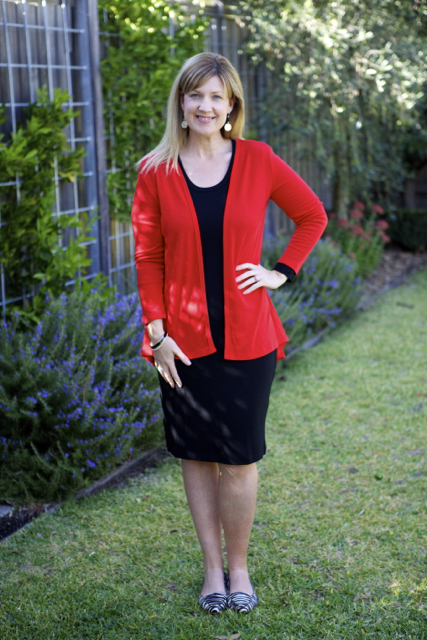 The reason being that it is a great base upon which to layer, particularly longer line cardigans and knits, as I’ve worn in two of the outfits below. If that’s not a concern for you, this frock is also the perfect canvas for on trend cropped knits and jackets too. Add a pair of ankle boots and a scarf and you are good to go. Finally, this dress is Australian made, accredited as ethically made and sourced from a merino sheep farm in NSW. Ok, that sorted, let’s turn to today’s outfits. Below, in my first outfit, I’ve styled it for dinner out in Autumn – now. The wool keeps me warm while it is still mild enough for bare legs. Wearing Woolerina dress, Marcs heels and Monsoon UK earrings. For my second outfit, below, I’ve added a Woolerina cardigan and an on trend pair of animal print pointed flats for some comfortable but chic work style. As it gets colder, simply add tights and a scarf and swap the flats for boots. Wearing Woolerina dress, Woolerina cardigan, Boden pointed flats, Mimco bracelet and Witchery earrings. Just a note about this cardigan too. It comes in five different colours (black, navy, tomato, steel and cobalt), in sizes 10 to 18. At $129, it’s a reasonable investment but I think it’s a worthwhile one. Although other brands may sell for less, it’s the quality and the softness of the merino that sets it apart for me. Again, like the dress, this merino wool is incredibly soft, easy to wear and to layer up. I also like the length of this cardigan. It’s not as long as some but it’s long enough. It’s slightly dipped at the back too. I like it because it’s long enough to cover my bottom and some of my upper thighs which is what I’m looking for in a cardy when I wear skinny jeans. The fine, soft texture of the merino wool doesn’t add any unwanted bulk either but still delivers in the warmth stakes. Finally, to show the versatility of this dress, in the third outfit below, I’ve thrown on a sleeveless gilet, a statement necklace and Converse trainers for every day style. This outfit is perfect for those days when you don’t feel like wearing jeans. Wearing Woolerina dress, Witchery Sleeveless Longline Gilet, Converse trainers, necklace from Finders Keepers Market. If you’re looking for a versatile and warm LBD this Winter, this frock could tick the boxes. Feel free to ask any questions if you have them in the comments below too. Also check out the rest of Woolerina’s range – they have women’s pants, tops and accessories covered as well as men’s, children’s and baby wear. * This dress and cardigan were kindly gifted to me. For more information, check out my Disclosure Policy here. Do wear many frocks in Winter? Are you a fan of the woollen frock? Would this frock fill a gap in your wardrobe?